You are here: Home / Product Reviews / Best Shampoo For German Shepherd Dogs – Our Top Picks! Welcome to our complete guide to the best shampoo for German Shepherd dogs. We’ll give you all the information you need to pick the right shampoo for your pup. German Shepherd dogs are amazing! Of course, if you already own a lovable German Shepherd (or you’re considering one) then you already know this! 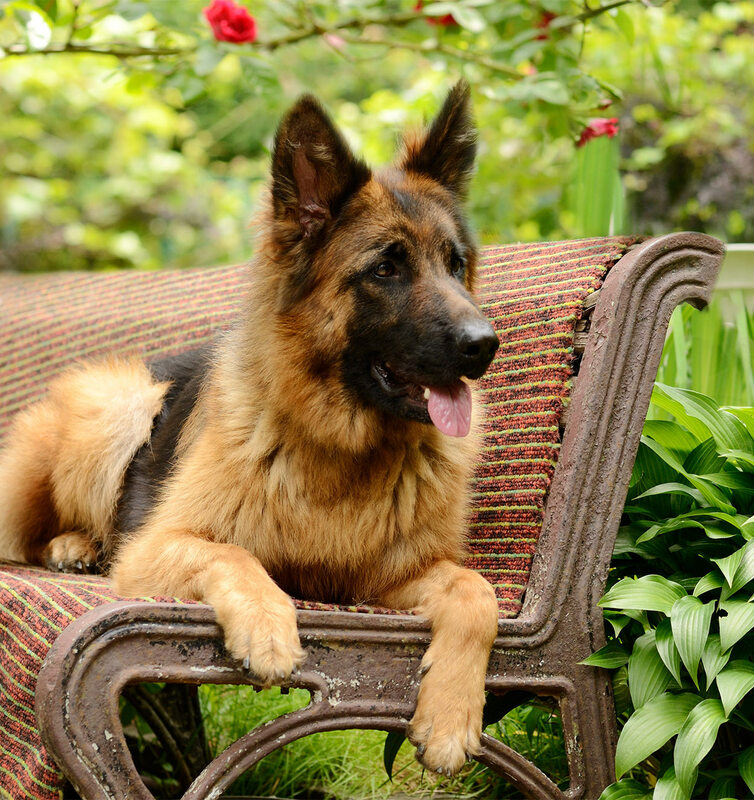 So now it’s time to learn how to care for your German Shepherd’s beautiful fur coat. What does your German Shepherd need to stay healthy and happy? And what is the best shampoo for German Shepherd puppies and adult dogs? Is there anything specific you need to know about shampooing, drying, and grooming your dog’s coat? Over the years, the purebred German Shepherd breed has found its place as both a show dog and a working dog. Of course, you will usually find show dogs of this breed competing in the show ring! Whereas, working German Shepherd dogs perform some of the most important jobs imaginable. This includes working for the military, police force, and secret service, as well as search and rescue teams. German Shepherds can also be used to detect drugs and as both therapy dogs and service dogs. Show dogs are primarily bred for appearance, whereas working dogs are bred for their temperament. Why is Choosing the Right Shampoo for Your German Shepherd So Important? Decades of focused breeding has led to frequent skin allergies and skin sensitivities in these dogs. Therefore, itching, dry skin, flaking skin, rashes, bumps and lumps, and other discomforts are fairly common among German Shepherds. The wrong shampoo can aggravate the sensitive skin of this breed. 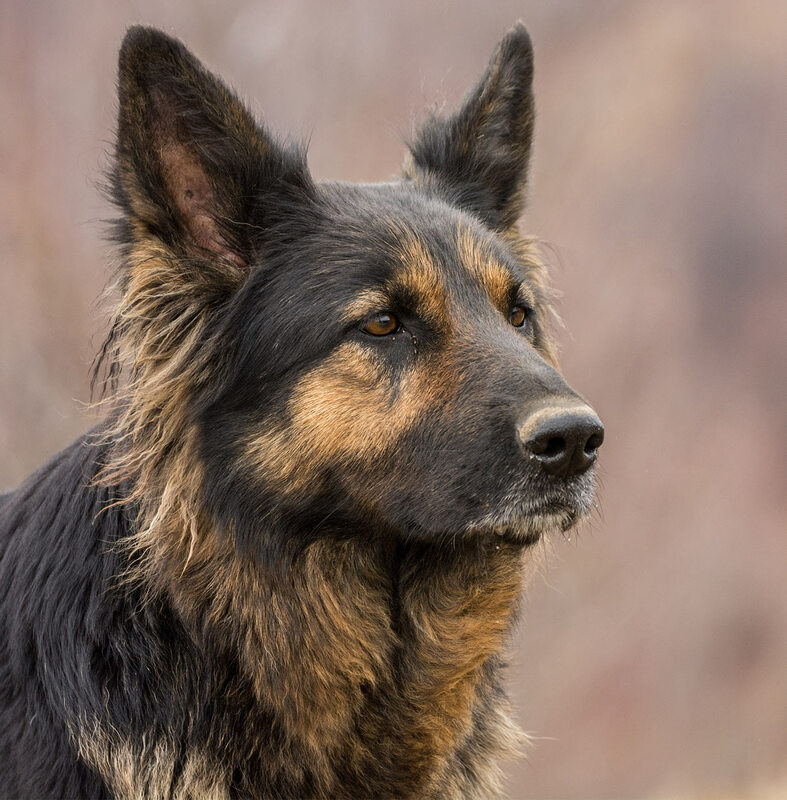 Researchers recently discovered the reason why some purebred dog breeds like the German Shepherd are more likely to develop atopic dermatitis (eczema)—it’s literally in their genes! Coat thickness and type also varies greatly between dogs of this breed. For example, your German Shepherd may have a short-, medium-, or long-haired coat, either with or without an undercoat. So, if your dog has a thick coat that is hard to penetrate, you may want a shampoo that produces more lather to be sure you are getting the deepest clean. The German Shepherd breed has lots of natural oils in their coat. This is especially true of those with undercoats (although not all do). It’s best not to bathe your dog more than every four weeks unless your dog’s veterinarian tells you to. Or during flea season. Bathing your German Shepherd too frequently can dry out their skin and coat. This can cause itching and irritation. Moreover, hypoallergenic, all-natural or sensitive skin formulas with natural oils can be a good choice for the sensitive skin of your German Shepherd. Before changing your dog’s shampoo, it’s always a good idea to check with the vet. Especially if your dog is currently suffering from a skin disease or allergies. So what is the best shampoo for German Shepherd dogs? 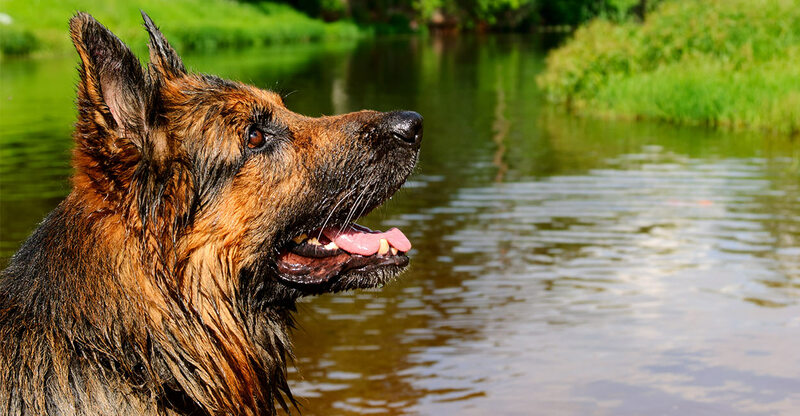 German Shepherd owners praise the following options as being good shampoos for this breed. Remember though, if your dog has an existing skin problem it’s best to check with the vet before switching to a new brand of shampoo. This shampoo is cruelty-free, eco-friendly, organic, and hypoallergenic. It contains neem oil, shea butter, argan oil, aloe vera, and natural bentonite clay. Dog owners say it really works to ease skin irritations including fungal issues. Best of all, it is highly concentrated so you get a lot of shampoo for your money. Possibly the best Shampoo for German Shepherd owners looking for an organic option. 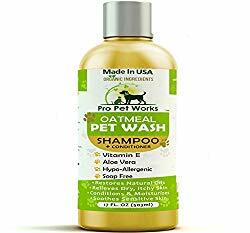 This all-natural, organic and hypoallergenic dog shampoo is specifically blended to ease issues related to skin allergies or skin sensitivity. It is cruelty-free, vegan and biodegradable as well. 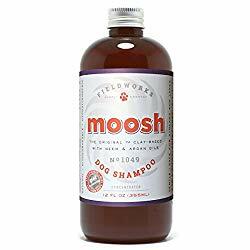 This makes it possibly the best shampoo for German Shepherd owners that want to prioritize cruelty-free and environmentally friendly products. You can use it on a German Shepherd puppy or adult dog safely. The shampoo blend is concentrated. So, you can produce a thick lather with only a small amount of shampoo. Choose from lemongrass, lavender, or unscented. 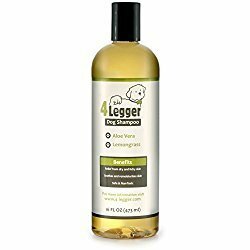 This unique shampoo and lotion are specifically designed to reduce itching and scratching in your pup. Use the shampoo as needed. Then simply apply the lotion on hot spots or irritated skin up to five times a day between shampoos. The shampoo contains all-natural anti-bacterial, anti-fungal, anti-itch ingredients that are soothing and safe. This canine shampoo is offered in three formulations: fine coats, moderate coats, and thick coats. It was awarded the Pet Business 2016 Industry Recognition Award and the Modern Dog 2017 Fav Find. The shampoo is designed to be pH balanced and anti-allergenic. A foam spray application makes it easy to apply. And the formula makes it easy to get your dog clean and to quickly wash out all the shampoo. In addition, it is effective at killing bugs in your dog’s coat and will leave their coat smooth and soft. There is also a medicated version, which could be the best shampoo for German Shepherds struggles with skin health issues. 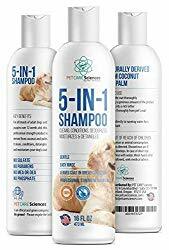 The Healthy Breeds shampoo brand offers an extensive line of breed-specific dog shampoos. There is also an oatmeal and aloe vera shampoo for sensitive skin. This shampoo is pH-balanced and hypoallergenic and the manufacturer offers a 100 percent satisfaction guarantee. If you’re caring for a young German Shepherd puppy, you have plenty of coat changes to look forward to in the coming months. As their puppy coat sheds out, the new adult coat will start to grow in! 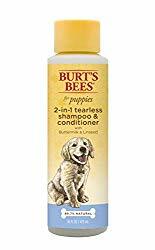 Luckily, finding the best shampoo for German Shepherd puppy dogs is not difficult with these awesome puppy shampoo options. 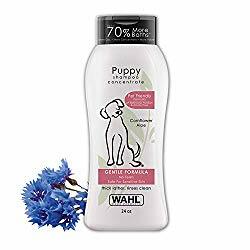 This pro-grade puppy shampoo is a shampoo, conditioner, de-tangler, deodorizer, and moisturizer all in one bottle. The shampoo should make bath time quick and easy and puppies smell great. It could possibly be the best shampoo for German Shepherd puppies’ coats. This puppy duo shampoo and conditioner has all natural linseed oil, honey, oatmeal, and buttermilk. It’s so gentle that you can even safely wash your puppy’s face. This simple, natural shampoo will get your smelly puppy clean, fast. It also moisturizes their coat with jojoba and aloe. Another pH-balanced natural shampoo that contains cornflower and aloe plus coconut oil. 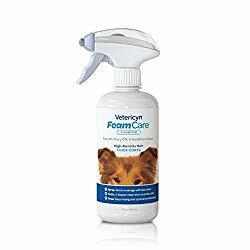 It will gently clean and deodorize your puppy’s coat. What’s more, professional dog groomers say their canine clients love it! This all-natural, hypoallergenic shampoo was created by veterinarians to soothe and nurture your puppy’s sensitive skin. It is cruelty-free and biodegradable and the formula is tear-free. The fabulous shampoo will leave your pup with soft, sweet-smelling fur. And could well be the best shampoo for German Shepherd puppies. While some dogs are enthusiastic bathers, not all dogs love bath time. Even if you’re using the best shampoo for German Shepherd dogs. Regardless of your dog’s stance on bathing, these German Shepherd 2-in-1 shampoo and conditioner duos make it easy to get your dog clean and sweet-smelling extra quick. You can choose from two sizes with this shampoo and conditioner blend: 16-ounce and 32-ounce. The shampoo is safe to use even if you use spot-on flea and tick treatment. German Shepherd owners say it works well on their pups’ thick coats. This hypoallergenic soap-free shampoo/conditioner combo is non-irritating to noses and eyes. Plus, it contains aloe vera. Owners say it eases itchy skin and dandruff. It’s also great at getting rid of dog body odor. Earthbath Dog Shampoo and Earthbath All Natural Pet Conditioner are two more great choices. Both products are sold separately so you can mix and match as you choose. The cruelty-free, all-natural, biodegradable, and soap-free shampoos are safe to use with topical flea treatments. You can choose from puppy and adult dog formulas. They also come in several blends, such as oatmeal and aloe, eucalyptus and peppermint, sweet orange oil, fragrance-free, tearless and extra gentle, and tea tree and aloe. Paws and Pals is a popular natural dog shampoo. You can choose from flea & tick formula, argan oil or original oatmeal shampoo and conditioner blends. All three certified vegan and organic blends are tear-free, meaning they won’t irritate your pooch’s ears, nose, or eyes. This shampoo and conditioner all-in-one includes aloe vera, coconut oil, essential fatty acids, and other nourishing elements to help control shedding, flaking skin and skin discomfort. In addition, it’s pH-balanced just for dogs and there are different options for puppies, adult dogs, and special formulas. Can the Best Shampoo for German Shepherds be Human Shampoo? It’s not a good idea to use human shampoo on your dog. Their needs are very different to people’s needs. The amount of hydrogen (H+) in the skin’s acid mantle (protective outer layer) determines whether the skin’s pH is acidic (high concentration) or alkaline (low concentration). A pH of 1 to 6.99 is acidic. A pH of 7 is neutral. And a pH of 7.1 to 14 is alkaline. Human skin tends to be more acidic (4.5 to 6) and canine skin tends to be more alkaline (5.5 to 7.2). Using human baby shampoo on dogs has become quite popular. It can be a bit cheaper and many people assume that if something is safe to use on a human baby’s skin, it should be safe on a dog’s skin. But this is not necessarily true. Especially with dog breeds like the German Shepherd that are prone to skin irritation. Therefore, the German Shepherd Rescue of Northern California advises using a dog-specific pH-balanced shampoo for exactly this reason. If you want to use baby shampoo on your dog, it’s best to talk with your dog’s veterinarian first. There are plenty of other ways you can prepare for the arrival of your German Shepherd. We hope this list has helped you find the best shampoo for German Shepherd dogs. As dog lovers, we know how important it is to find the right support for your pup’s skin and coat health! If you’ve fallen in love with one of the German Shepherd dog shampoos on this list, we’d love to know which one! Or if you a favorite dog shampoo or conditioner that isn’t on this list, let us know in the comments below. We may even feature it in a future article! Hess, Robert, DVM, et al, “Your German Shepherd,” Winter Park Veterinary Hospital, 2010. Tengvall, K., et al, “Genome-Wide Analysis in German Shepherd Dogs Reveals Association of a Locus on CFA 27 with Atopic Dermatitis,” PLOS Genetics/National Institutes of Health (NIH), 2013. Scott, D.W., “A survey of canine and feline skin disorders seen in a university practice: Small Animal Clinic, University of Montréal, Saint-Hyacinthe, Québec (1987-1988),” The Canadian Veterinary Journal/National Institutes of Health (NIH), 1990. Matousek, J., et al, “Evaluation of the effect of pH on in vitro growth of Malassezia pachydermatis,” Canadian Journal of Veterinary Research, 2003. Siddique, A., “Eczema Gene Discovered in German Shepherd Dogs,” Medical Daily, 2013.